How many times has it happened? You know what I mean, you are cutting up some sheet material with the TS-55 and the hose or power cord just get stuck in the guide rail and the cut ends up in a mess. To me it happens all the time. 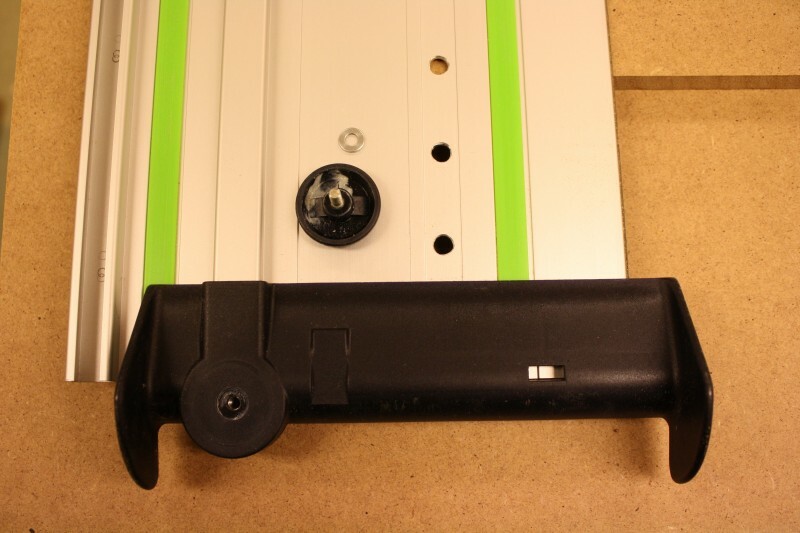 The Festool solution to the problem is the Festool FS-AW Hose and Cord Deflector for FS Guide Rails (part number 489022). 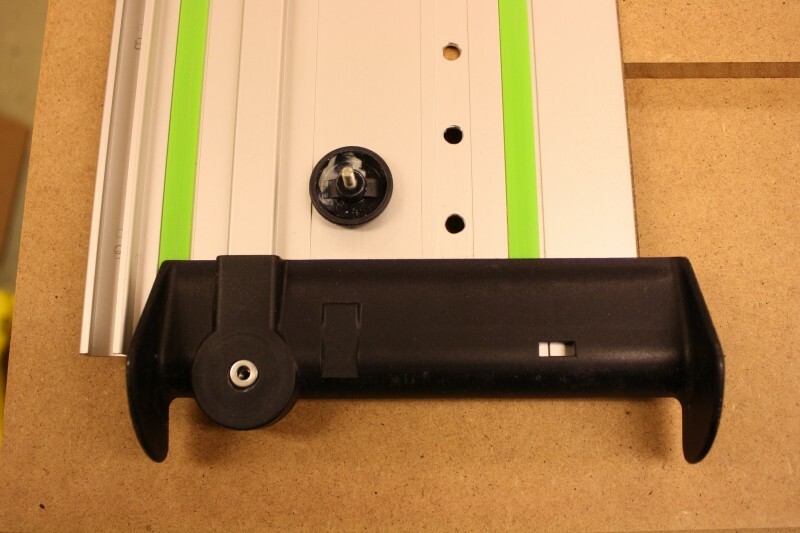 As usual with Festool it costs a fortune considering it being a piece of plastic but nevertheless it is very useful and keeps you in a good mood. Everything is fine then? No, the FS-AW is broken by design. The small knob used to tighten the deflector on the rail is very hard to tighten properly. This is because the outer part of the knob get in touch with the deflector. Either the small countersink around the screw hole in the deflector is too deep, or the plastic around the thread on the knob is too low. Fortunately this can easily be fixed by putting an M4 washer in this countersink. Now only the center pin of the knob touches the deflector and it can easily be tighten as hard as one wants. A friend of mine has another, even better solution, to the problem with the hose or cord getting stuck in the rail. We save that for another time. 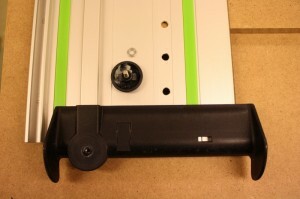 By the way Festool: you don’t have to be embarrassed missing this. Just send me a Domino to show me your courtesy.